The move was first implemented in January 1946 when the Reserve Bank of India discontinued Rs 1,000 and Rs 10,000 notes. Did you know this wasn’t the first time the Indian government has gone for demonetisation of high-value currency to tackle the menace of black money? The move was first implemented in January 1946 when the Reserve Bank of India discontinued Rs 1,000 and Rs 10,000 notes (Yes, we had a Rs 10,000 denomination note). Eight years later, in 1954, Rs 10,000 was brought back in a fresh avatar and a Rs 5,000 rupee note introduced. Later, in 1978, the Morarji Desai government that took over after a resounding vote against the Emergency in 1977 demonetised the big value notes, allegedly to target hoarding by erstwhile prime minister Indira Gandhi. 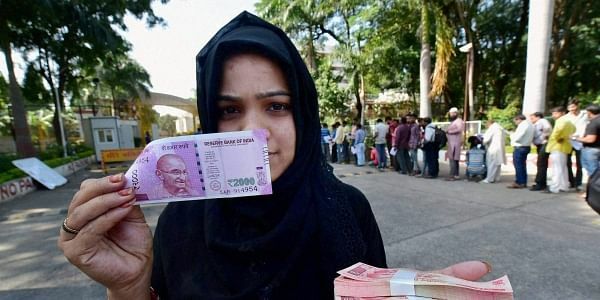 Trivia apart, the past experiments with demonetisation had ended in failure, as a 2012 report by a black money committee headed by the chairman of Central Board of Direct Taxes (CBDT) noted. Besides, demonetisation may also impact the environment as more natural resources would be depleted for printing more currency notes. The current phase of demonetisation has evoked largely positive responses from the urban classes but there have been several reports of the common public facing immense inconveniences. Time will tell whether it was worth it, or whether this was just another gimmick by a government looking to gain some brownie points ahead of assembly elections in crucial states of Uttar Pradesh and Punjab in the coming months.